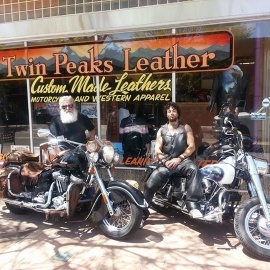 Twin Peaks is your only local leather shop who truly cares about your safety, protection and style on or off your bike. We sell the goods, alter them, repair them and customize them. We can customize almost anything! 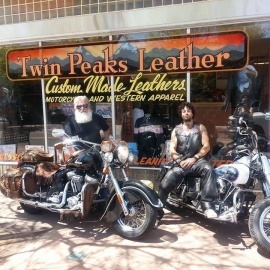 Bike seats, vests, knife sheaths, gun holsters, jackets, belts, guitar straps, dog collars, jewelry, halter tops, purses, wallets and saddle bags. 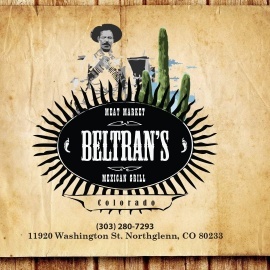 We are a family owned, good feeling shop who spends time with every customer who walks in. Customer service at it's highest level. Nothing leaves the shop till we know it fits. You also will be welcomed by our two friendly dogs (if their not basking in the sun) Peanut and Princess.